YoYoExpert Blog & Yo-Yo News – Yoyorecreation Dazzler, Anomaly, & Collab FAY! Yoyorecreation Dazzler, Anomaly, & Collab FAY! Bi-metal designs with inner fitted rings hold up well against hits, but lack the same performance as designs with outer fitted rings. Yoyorecreation set out to create an innovative new yo-yo that solved this problem. The Anomaly! The Anomaly adopts a newly developed technique with inner fitted steel rings that also make up the outer edge of the yo-yo. It is strong against shocks and succeeds in achieving the perfect weight distribution for maximizing performance. This yo-yo has an incredibly powerful spin, a comfortable shape in the hand, and a durable bi-metal design that will withstand shocks. Built to tackle anything you can throw at it, the Anomaly will exceed expectations more than just 1A play. 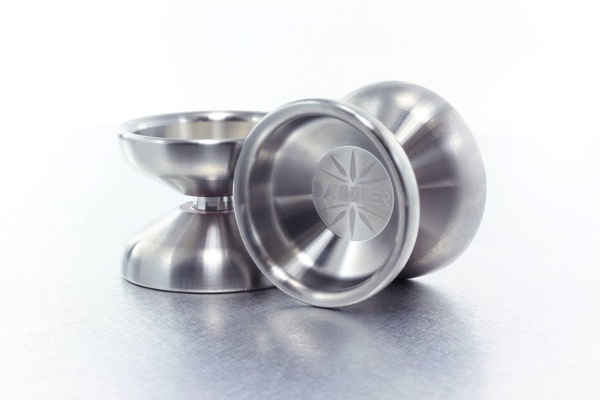 The durable design and powerful spin makes it a perfect choice for 3A and 5A as well! The DAZZLER is one of our all time favorite titanium yo-yos and the signature model for Japanese thrower Tatsuya Fujisaka! It was first released in 2013, but the quality, performance, and unbelievable feel in play still holds up against any modern throw to this day! 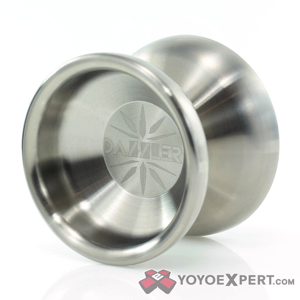 The Dazzler is the epitome of high end yo-yo design. This full titanium beauty has an amazing sleek look and is geared specifically for competition level play. They based the design off of the 1st edition of the stargazer, then worked with Tatsuya Fujisaka to create a yo-yo that would perfectly compliment his unique style. The final product is a super stable, long spinning yo-yo that can move as fast as you can push it! With the Titanium Dazzler in your hands you are sure to dazzle the crowd at your next competition! Yoyorecreation teamed up with famous Designer group, “NC Empire” and an apparel shop “SPINNS” to collaborate on this special edition FAY! The design has a really fun feel with a pop graphic printed by NC Empire on the plastic Yoyorecreation FAY side cap. The Fay is available in a cool Ivory color that really makes the white cap stand out. They chose to collaborate on a Fay because it is the perfect yo-yo for any skill level. It comes fitted with a slim bearing for responsive tricks and packaged with a wide bearing to install for unresponsive play. It features a comfortable oversized v-shape design and a huge catch zone that makes learning new tricks a breeze. The easily removable side cap focuses rim weight to provide the necessary stability and spin time that everyone is looking for in a first yo-yo!